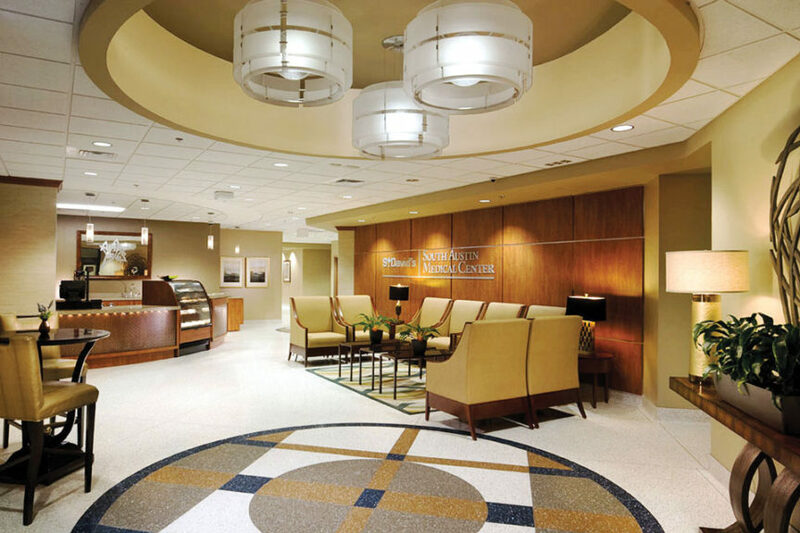 The Main Lobby at St. David’s South Austin Medical Center in Austin, TX evokes a spirit of hospitality. While Gould Turner Group (GTG) is headquartered in Nashville, the company has made an imprint in the architectural design community that reaches far beyond the Music City. GTG professionals are licensed to practice architecture in 48 states around the country and have completed projects for clients nationwide. As the largest female-owned architectural firm in Nashville, the company has built an impressive reputation through its focus on exceptional client service and innovative, quality design. GTG was founded by Mike Gould and Steve Turner in Glenwood Springs, Colorado in 1980. Within a year of opening their doors, the partners relocated the company to Nashville to pursue work with the largest for-profit healthcare system in the country. They expanded their focus from commercial projects to include the design of medical and educational facilities. Over the years, GTG has deepened its commitment to healthcare and educational design and now lists as clients some of the most recognized names in both of those fields. 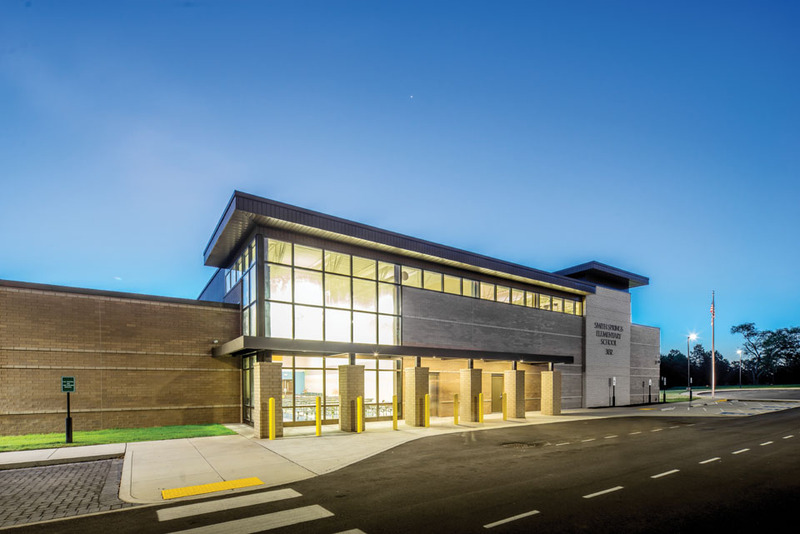 Smith Springs Elementary School in Antioch, TN opened its doors to students in 2015. GTG is a full service architectural firm that offers a complete range of architectural and interior design services to their clients from project conceptualization through planning/master planning, construction documents and completion. Some of Nashville’s most well known landmarks that bear the GTG signature include Smith Springs Elementary School, Cane Ridge Comprehensive High School, Palmer Plaza, and One Belle Meade Place. The firm has been published and won numerous design awards for its work. It was recently featured in HealthCare Design magazine for its design of the new Canyon Vista Medical Center in Arizona. “We thrive in a collaborative environment that emphasizes teamwork and innovation. Our goal is to be the architect of choice for all our clients,” Marzialo states. A testament to the firm’s success by adhering to those core values is GTG’s extraordinary percentage of repeat business from existing clients and the exceptional retention rate of its employees, which averages approximately seventeen years.